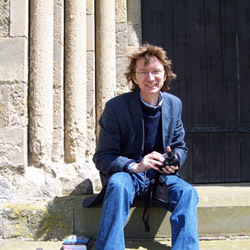 I am an architect with an interest in old buildings and the historic environment. I studied architecture at Kingston Polytechnic and later did an MA in Building Conservation at York University. I am based in Battersea in London. I was a consultant to Historic Royal Palaces from 1994 to 2004. From 1994-97 I worked on repair projects at Hampton Court Palace. I am also a consultant to the Royal Botanic Gardens Kew. In 2003 I was architect for the conservation and repair of St. Michael's Church Tower at Glastonbury Tor in Somerset, for the National Trust. I also have an interest in access to the historic environment. I carry out access audits and surveys. I am a member of the Panel of Access Auditors of the Centre for Accessible Environments. I have been involved in the campaign to preserve Battersea Power Station since 1993. I am a director of the Battersea Power Station Company, a not-for-profit company set up to help to preserve the listed building.